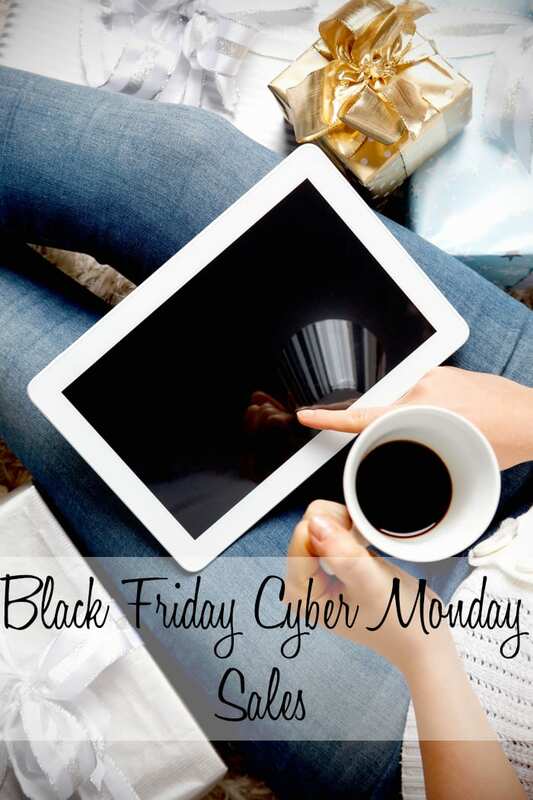 Just like the past several years, I’ve rounded up the best Black Friday Cyber Monday Sales 2018 to share with you! I always prefer to shop online during this time because I hate dealing with the mad rush of people in store. I’ll be updating this as often as I can and I’m keeping an eye out daily for more deals to add! It’s Friday, November 23, 2018. It’s Monday, November 26, 2018. From now until the end of November, I expect we’ll see all kinds of sales. To see what the sales were like last year, check out my Black Friday Cyber Monday Sales 2017. Don’t forget to enter my Holiday Beauty Mega Giveaway worth over $400! One of my favorite reddit forums, MUAontheCheap, is maintaining a Black Friday Beauty Comparison Chart for who has the best deals on specific items. You may find this very helpful! 100% Pure – See their current sale specials here. $10 beauty deals on Black Friday and Cyber Monday Nov. 20 – Nov. /27. Friends and Family 15% off sale will run Nov. 3 – Nov. 10 use code FRIENDS18. Additionally, 100% Pure’s 12 Days of Giving Promotion will run from Nov. 13 – Nov. 24. A new category will be on sale each day and the promotion will be Buy 1, Get 1 50% Off on all items within the chosen category each day. Amazon – Amazon has a ton of early daily deals for Black Friday listed here. Aromaleigh– 40% clearance eyeshadows with code CLEARANCE40 are available right now. More details when known. Baggallini – Nov. 9 – Nov. 27 only, get 25% off your entire order plus free shipping with the coupon code BIGBAGSALE. Buy 1, Get 1 Half Off Bryant Pouch and Limited Edition RFID Bryant Pouch from Nov. 28 – Dec. 25. Get 25% off + free shipping in the Baggallini Gift Guide from Nov. 14 – Nov. 27. BareMinerals – 20% off site wide, code SHINE 25% off sitewide and free shipping. 11/25-11/26. Best Buy – Last year Best Buy had deals on lots of gaming console bundles. Research shows that they’ll likely have the same sort of deals on game console bundles. They will also likely offer savings of up to $200 on the iPhone. Boots – the Black Friday Deals page is here. More info as follows. Bunny Paige – No code necessary, 20% off sitewide! Camera Ready Cosmetics – 20% Off Site Wide. Over 100 Brands. Pro’s get 30% off. code: CRCHOLIDAY20 This is where I order Cozzette Beauty & Danessa Myricks Beauty. Their Prism FX Lotion and Essential Powder are my favorites! Cryptic Cosmetics – sale through 11/30. All matte lip veils $6 each. CVS – Here are the current CVS Sales. More info coming. Darling Girl – Pink Friday sale starts 11:59pm on 11/22-11/25 25% off orders plus they can use affiliate codes which brings the discount to 40% off! Past GWP’s will be available for purchase as well as vault sale with the first 3 months of Glittergrams overstock and some misc. products that never made it the shop. The Christmas collection will also be available. Cyber Monday (15% off) sale starts 11:59pm 11/25 and ends at 11:59pm on 11/26. Deciem – various. I LOVE the Ordinary line. See my recommendations based on skin type. Dermalogica – The more you spend, the more you get: Spend $50-$99 – choose 2 free travel sizes; Spend $100-$149 – choose 3 free travel sizes; Spend $150-$199 – choose 4 free travel sizes; Spend $200 or more – choose 5 free travel sizes. Dermstore – Here are their current specials. 30% off full-price items on 11/24, 25% off full-price items on 11/25-11/26. Disney – Disney has items on sale now, with more surprises on Nov 14, Nov 16, Nov 18 and Nov 20. Advent calendars, dolls, clothes and more are all marked down. Over 940 items currently on sale. Dreaming Tree Soapworks – Small Business Weekend / Black Friday Weekend there will be the Winter Collection Release. The discount will be 20% with a code, code coming soon. Ethique – Save 10% on the best-selling sustainable sampler packs for hair, face and body Black Friday through Cyber Monday. Glossier – 20% off 11/22. I recommend Boy Brow, Skin Tint, and see the rest of my recommendations. Hydropeptide – 20% off sitewide. Jen from My Beauty Bunny loves their lash serum. Jane Iredale – During Black Friday weekend (11/23-11/25) jane iredale is offering a 20% savings on orders of $100 or more and a 25% savings on orders of $150 or more. Additionally, for Cyber Monday from 11/26-11/28, jane iredale will be giving away a nine-piece gift set with $150 purchase. The gift set includes 8 best-sellers in mini sizes in canvas gift with purchase bags. Jet – See the Black Friday Specials here. Deals start Wed. Nov. 21 at 10 pm EST. You’ll find deals on the Apple iPad, Bose headphones, and tons of other things. Julep – Shine bright with the limited-edition #Coveted 12-Piece Mini Nail Set for $24.99 ($94 value) or give the gift of glowing skin with the Shining Stars Korean Skincare Set for only $49.99 ($97 value). You can also receive a FREE compact mirror with any purchase of $30 or more. Just add the Heart of Glass Julep Mirror Compact to your cart and after adding $30 worth of amazing deals or other Julep products, use code REFLECT at checkout and get your mirror as a gift. KBShimmer – We are kicking off Black Friday early! Starting November 15th through November 25th, each purchase of $50 or more on KBShimmer.com will receive a KBShimmer holographic draw string backpack free! Plus, free shipping equals Priority Shipping! We know you want your nail mail ASAP, so we are upgrading all orders that qualify for free shipping to USPS Priority Mail. Shipping upgrade valid starting November 15th through November 25th on orders of $50 or more. Kevyn Aucoin – Will be having a sale, not sure on details yet. Kohls – Take an extra 15% off with code JOY, ends 11/23. Now through Friday the Black Friday Deals are on. Lime Crime – 25% off everything. I’m in love with the Venus III, metallic velvetines, velvetine lip liners, plushies, and diamond crushers. Macys – Doorbusters: Nov. 22 5pm – Nov. 23 2am, Nov. 23 6am – 1 pm, Nov. 24 8am – 1pm. Lots of makeup products are marked down. Especially tempting is the Urban Decay Naked Petite Heat Palette is marked down to $14.50. See makeup deals here. Makeup Geek – Makeup Geek will be offering 25% site wide. The sale begins Black Friday: November 23rd (12:01AM) and runs through Cyber Monday, November 26th (11:59 PM). My Pretty Zombie – Launching new products. Nov 21 – Nov 23 33% off everything with coupon BLACK18. New collection Food of the 1970s Part 2, stay for dessert. New matte nail polishes – Coffin Critters and Rabid Weasel. LLE eyeshadow Hot Tuna and Egg Buns free GWP. 1/2 price international shipping. 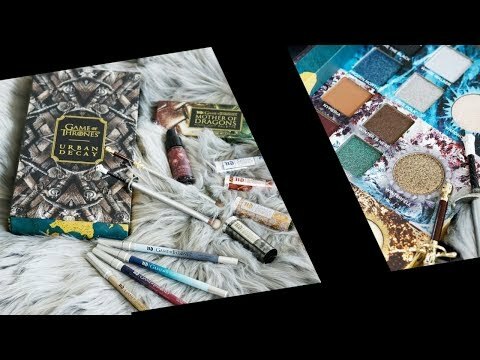 Physicians Formula – Black Friday – BOGO 50% sitewide (new products + holiday sets are excluded from promotions), along with a FREE 6-piece 80th Anniversary Collection gift set with $30+ purchase. Promo valid 11/20 – 11/25. Cyber Monday: 40% off sitewide (new products + holiday sets are excluded from promotions). Promo valid 11/26 – 12/2. Silk Naturals – Use the code: holiday18 to save 12% off your order until November 30! This is our biggest sale of the year! Stellar Lighting – 51% on everything for 24 hours with code BLACKFRIDAY51. starts at midnight EST. Suva Beauty – It looks like a Hydra liner bundle will be available for $130 and an eyeshadow palette bundle with Block Party * Saffron will be available for $40. The Real Real – Right now save 20% with code REAL on luxury goods. This is where I’ve bought all my awesome handbags. Target – BOGO 50% all cosmetic, beauty and personal care gift sets, Philips Norelco OneBlade Pro Hybrid Rechargable Shaver & Trimmer 50% off at $39.99, save 50% off on the Conair InfinitiPro blow dryer at $19.99, see the rest here. Tarte – On Nov. 7 tarte will have custom kits of 7 full-size items only $63. More details to follow. Tatcha – 20% off Nov. 8-15 with code FRIENDS18, more info as follows. Ulta – See Black Friday Here! See the current on sale items here. Check out the Cyber Fundays Sale for 2018! Over 160 offers & a free 18 piece beauty bag with any $65 online purchase. Wander Beauty – 25% off sitewide. 11/21-11/25. I just bought the Wanderess Chill palette, which looks like a nice cool-toned palette! W3ll People – 25% off + free shipping. Offer valid 11/23/18- 11/26/18 on full-size, full-price items only. Cannot be combined with any other offer. Excludes sets. Other Restrictions Apply. WinkyLux – 50% off $40+ orders with the code 1DAY50 on 11/23. There were so many good deals this year that it was really hard to be good, but I stuck to my guns and bought makeup from two cruelty-free indie brands. I’m super excited. Thank you for doing this, we can always count on you Courtney! Hope you had a Happy Thanksgiving! I’m kicking myself for lacking patience and ordering things on Tuesday. Augh. Great efforts done by admin for the assistance of readers. Enjoyed these black friday deals because of admin only! Bookmarked as favorite website. Thanks so much for doing this. I book marked it to reference during the Black Friday time. It is so beneficial.